The busiest weeks always just fly by, am I right?! I’ve been catching up like crazy on blog stuff since returning from London Saturday night + about to dive into creating the London Itinerary for A Detailed Destination, so computer work has been at an all time high. I’ve worked until at least 8pm every night since Sunday (and yes, I worked all day Sunday)! I’m not complaining though, because there’s a lot of fun stuff going on and I love what I do. 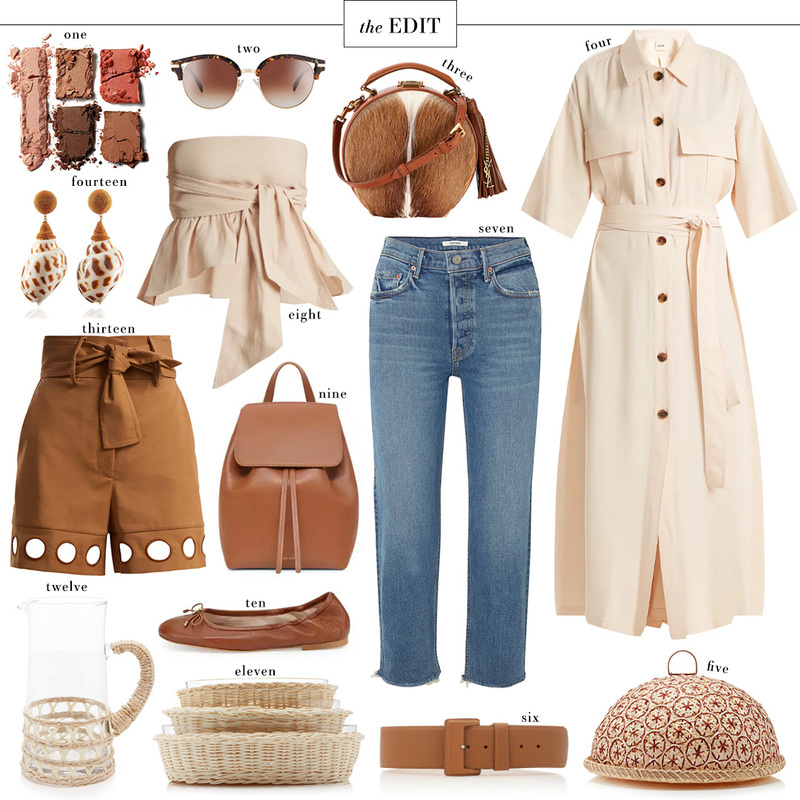 Even though summer just started, we’re actually starting to see the arrival of pre-fall items in stores and online… hence the creamy cognac you’re seeing in this week’s EDIT! I’ve got a really great Under $100 roundup for 4th of July coming up this Thursday, but in the meantime, here’s a roundup of some luxe looks on my wish list at the moment! PS: I updated THE SHOP yesterday with a bunch of new fab finds in every section! I also added all of the NET-A-PORTER sale items I tried on for you on my Instagram Stories in the InstaStories tab in THE SHOP. The try-on session will disappear from my Instagram Stories just after 12pm Central time today, so be sure to watch before then to see how it all fits! I’m loving the cream tones! Although I can’t believe some pre-Fall Items are releasing soon. I felt like summer just started! Oh boy! Your edits are always the best and match my style perfectly. I especially love the dress, off the shoulder top, and jeans. I know that they’re all super simple and classic but hey, that’s my style and I think that’s why they stand out so much. The designer’s taken classic colours and styles and used his/her own inspiration to inspire the slight twists.